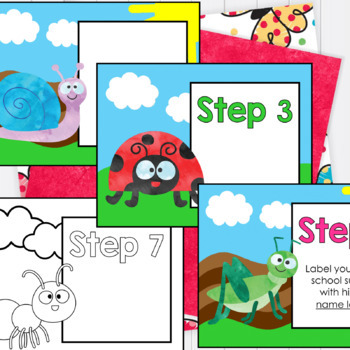 Make Back to School or Open House easier with these EDITABLE POWERPOINT Meet the Teacher BUGS THEME forms and posters. 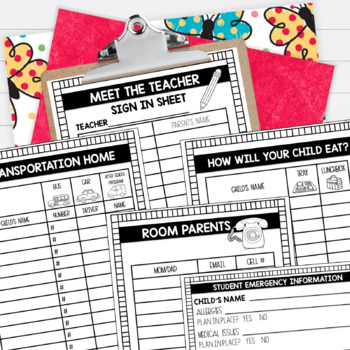 I created these Meet the Teacher forms and posters to minimize the chaos of Back to School! You will find them easy to edit to fit your own needs. TEXT BOXES INCLUDED OR ADD YOUR OWN! 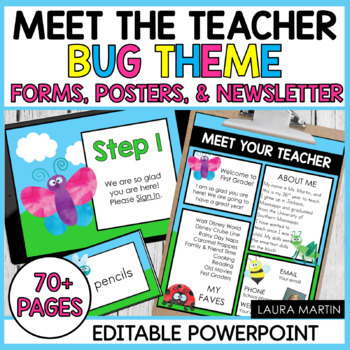 Customize your own Meet the Teacher posters with these EDITABLE files: in color and black and white -OR- use the ready-to-use posters provided. Check out the PREVIEW for a closer look! **This is a Zip file that contains two Powerpoint files. 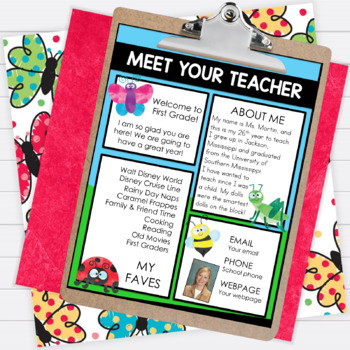 Here's the link to my Meet the Teacher blog post!